Here at Blue Fusion Digital it’s like clock work, we conduct SEO consulting calls every day and every day we stumble upon business owners who have got themselves in a bit of a pinch. They own a website and often times have spent a good chunk of change to have it created so naturally they want it to be found in the search engines so they hire an “SEO Company” to help their website be found in the search engines. 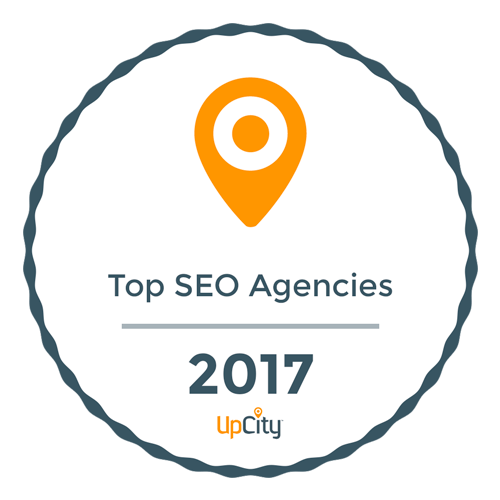 Here is where their headaches can begin, as a business owner or marketer I’m sure you get hundreds of emails and phone calls a year (We get them too even though we are ranked as one of the top 15 seo agencies! They just send out mass emails and hope for the best) from SEO freelancers and SEO companies all over the world claiming they can guarantee you the #1 position overnight or other outrageous statements and claims that sound to good to be true….because they are. For every good, legitimate SEO professional out there, their is a dozen of people who just know how to sell SEO really well even if they don’t know how to actually perform the SEO. But, when you don’t know what you are looking for I can see how those offers and claims can be enticing so I don’t blame you, I just want to help you. If you know anything about Blue Fusion Digital, you know we are big advocates of making sure your business is protected from the less then reputable and transparent “SEO companies and free lancers” across the globe. One of the best ways to protect your business from getting stuck between a rock and a hard spot is to arm yourself with the right ammunition when you are in the vetting process of hiring someone to perform your SEO or internet marketing. So, I figured why not create a list of questions you should ask ALL SEO companies before you sign on that dotted line! Here is a list of questions you should find an answer to before committing to sign up for someones SEO services. Do they practice what they preach? What keywords does their own website rank for? Do they have experience in your industry? If not, what makes them believe they can be successful for you? Do they have any sort of certifications or recognition’s from trusted sources? Have they helped any businesses you might recognize or know? Do they offer any sort of guarantee? How do they conduct the Keyword Research? How much traffic can these potential keywords produce each month? Are they creating new content or optimizing current content? If so, how much? Are they inter-linking the new content with prior content? Are they creating a website hierarchy with the content? Are they creating you Citations? Do they check for duplicates? Do they fix existing incorrect citations? Do you get the logins? Do you own them or will they remove them if you ever decide to cancel? What sort of On-Site optimization are they doing for you? How does their own websites Title Tags, Meta Descriptions, etc. look like? Are the reports easy to read or are they on some confusing color coded excel spreadsheet? Can you show me an example of a ranking report? What reports do you receive each month? How often do you get new reports? What specifically are they tracking on these reports? Are they creating inbound links or outbound links? If they are inbound, where are they getting the links from? Are the links relevant to your website? Do you own the links they are building for you or are you “renting” them? If an SEO company offers to build you a website…. Who owns the URL (domain name) for your website? Who owns the hosting for your website? In the event that you ever cancel AND the SEO company owns the URL and hosting, what happens to the website? Do they take it offline? Do they transfer the ownership of the URL and Hosting to you? Do you/will we have Google Analytics set up? If so, who owns the Google Analytics Property? Can they make you the owner and not just an administrator right now? Do you/will we have Google Webmaster tools set up? If so, who owns that? Do you/will we have a Google My Business page? I know it seems like a pretty long list of questions to ask but these are questions you absolutely should be asking to seo companies to protect your business from falling into the wrong hands!